Electric Literature will begin a new venture in microserialization by ‘tweeting’ Rick Moody’s new story, Some Contemporary Characters, from November 30th to December 2nd. Mr. Moody wrote the story expressly for Twitter. It is broken into bursts 140 characters or less, each clearly labored over with a precision and lyricism that floored us. Rick went head-to-head with the 140 character limitation of Twitter and used it as a source of creative inspiration. It reminds us of the film The Five Obstructions, wherein an artist’s acceptance of an arbitrary constraint leads to innovation. We feel Rick has taken something that could seem gimmicky – “Twitter-fiction” – and created something transcendent. 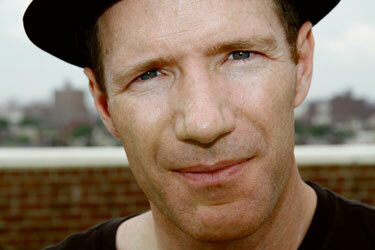 Rick Moody is one of the most celebrated American writers of his generation. He is the author of four novels, three collections of stories, and a memoir, The Black Veil which won the PEN/Martha Albrand award for the Art of the Memoir.. In 1994, he published The Ice Storm, which became a best seller and was made into a feature film of the same name, directed by Ang Lee. 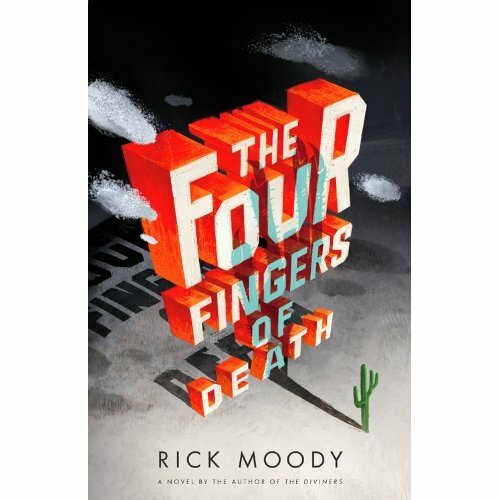 His new novel, The Four Fingers of Death will be published in July 2010. He also plays music in The Wingdale Community Singers, whose new album, Spirit Duplicator, is out now.We had the opportunity to ask Rick about Some Contemporary Characters and the challenges this new medium presents to authors. FPP: What inspired you to write a Twitter story? RM: I think my contempt for Twitter is what inspired it, initially. In general, I think the way to describe the world is to get longer not shorter. Twitter, by virtue of brevity, abdicates any responsibility where real complexity is concerned, because it forbids length. This seemed to me like a challenge, then: how to get complex in a medium that is anathema to complexity and rigor. And a challenge is always thrilling. FPP: What is the most difficult part of writing a story 140 characters at a time? RM: That’s it’s 140 characters at a time! Is that not difficult enough? It’s very difficult to get real traction and real change into that space. FPP: What is essential to carrying the story line in this new species of storytelling? RM: I think you have to imply a lot of story because there’s just not that much action you can get into the character-count box. You can’t dramatize a scene so much on Twitter. Or, you have to cut up scenes into the little hunks available. To the extent that you can imply action rather than depicting it, you’ll have more room available for doing other bits of fictive work. Description, dialogue, character, and so on. FPP: How does character development change in the Twitter format? RM: It didn’t change that much for me. It’s still central to this piece, as it most often is, in my work. FPP: Did you create Some Contemporary Characters as a Twitter story originally or take a full blown story and trim it down for the Twitter format? RM: It was absolutely written ground up on Twitter, for Twitter, about Twitter, with the character counter page open the whole time, to keep me from going OVER. FPP: Would you consider using Twitter as a means to preview future stories for your readers? RM: Never say never. But I sort of think that if you mean to use Twitter well you should use it from the start, rather than carving up hitherto existing text to fit into its strictures. That seems slightly obscene to me. It’s cheating. FPP: What did you learn as an author from creating “Some Contemporary Characters”? RM: That, despite my contempt for Twitter, it IS sort of like writing haiku all day long. And I like writing haiku. Twitter’s brevity, that is, started to have some sublime qualities. FPP: Do you think micro-serialized Twitter stories can find a permanent place in literary fiction or is the format too restrictive to be viable long term? RM: It remains to be seen, really, because the form is still in its infancy. I’m betting it’s a flash in the pan. I’m betting Twitter itself is a flash in the pan, and that as soon as video is more readily available a lot of these text-based media on the web will be a thing of the past. That’s good, because the word “tweet” is really embarrassing. FPP: Are you planning to do more Twitter stories in the future? RM: As of right now, I am not. But you never know. This entry was posted in author tools, blogs & writers, Interviews, open publishing, readership strategies and tagged Rick Moody, twitter, Twitter story. Bookmark the permalink. Afternoon, It is great to find a good blog like this one. Do you mind if I used some of your info, and I’ll leave a link back to you? If I had a penny for every time I came here.. Amazing post.